ESPN has Major League Baseball's Opening Day covered today with a new "This Is SportsCenter" spot starring the reigning National League MVP, Andrew McCutchen of the Pittsburgh Pirates. 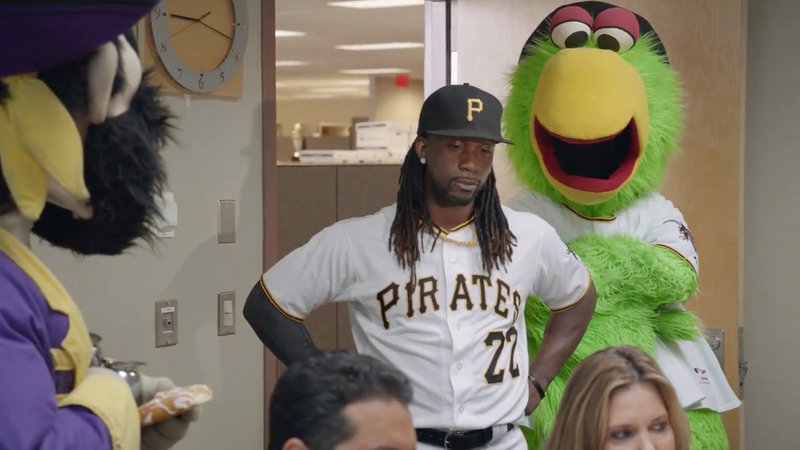 The commercial, running online and on ESPN properties, shows a breakfast meeting for the SportsCenter anchors going awry when McCutchen and a band of Pirate mascots (Pittsburgh's Pirate Parrot, East Carolina's Pee Dee, Seton Hall's Pirate and the Tampa Bay Buccaneers' Captain Fear) break in and loot the breakfast spread. The ad, by Wieden + Kennedy in New York, breaks this afternoon during ESPN's broadcast of the Pittsburgh Pirates against the Chicago Cubs.